Engaging female students in computers, coding, and programming. While most future jobs require high levels of digital literacy, only one in ten graduates from IT degrees are women (Zagami et al, 2016). There is also significant gender disparity at technology companies. Even though technology use is increasing, relatively few women are playing a role in creating this technology or are pursuing studies in technology-related fields. In response to this trend, programs and support aim to inspire girls and women to take up technological pursuits. The intended outcome is for girls and women to contribute more to, and have a greater voice in, the field of technology. The belief is that increased exposure to technological activities directed specifically towards girls at school will help increase confidence and interest in the area. This infographic developed by Intel presents six ways to engage more girls and women in making. The Digital Technologies Hub features a range of resources for implementing the Australian Curriculum: Digital Technologies. Use this site to encourage girls to become involved in computer programming. This video aims to inspire girls to get involved in computer science. Inspire your girls with these videos of a positive role model. Discover a range of suitable programs and sites to support girls in computing. This site provides resources to promote female engagement in technology, encouraging women to learn technology, create start-ups and build more of the internet. #MissMakesCode training has been designed by teachers, for teachers. Learn to use coding concepts to create your own game at this professional development day, and walk away with a curriculum and resources you can use in your school the very next day. This training is open to primary school teachers and teacher librarians. Aligned with the Digital Technologies Curriculum, this course meets the achievement standard for Foundation to Year 2 and is practical, empowering and fun! We’ll focus on teaching visible thinking skills, enabling your students to use a variety of computational methods to solve problems using programming principles. Can’t make it to face-to-face training? Find out about the free online training, curriculum, and resources. This webinar will cover engaging girls in technology. We will introduce a whole school approach problem-solving model that can be used to assess what is happening at your school in regards to providing programs that promote girls in tech. The webinar will provide practical examples of strategies and approaches that schools can use to encourage participation of girls in technology as well as resources that are relevant. Part of the webinar will also introduce female tech start-up founders who are experts in gaming and other technology related careers. In this webinar, Matt covered what digital citizenship is and why it is important; alignment of digital citizenship to the Australian Curriculum; and practical lesson ideas and approaches to: digital footprints (helping students understand that they have a digital identity), respectful online behaviour, and digital safety. In September, winners were announced for the 2017 Search for the Next Tech Girl Superhero competition. Over 260 teams across Australia and New Zealand took part, creating meaningful apps to help their local community. The girls from Pacific Pines Primary School in Queensland created a fun app to help their peers understand the importance of sun safety. St Peter’s Girls' School in South Australia designed a mobile app to connect skilled retirees with volunteering roles. Full details of all the winners can be found on the Tech Girls Movement website. St Aidan’s Anglican Girls' School is an independent day school located in Corinda, Queensland. Read the case study to learn about their approach to the Digital Technologies Curriculum which includes the implementation of a makerspace. Using robots to teach may seem like something from the Twilight Zone. This project demonstrates how accessible robotics can be in the classroom, and how they can inspire students to think outside the box. For further case studies, see our Primary or Secondary pages. The FIRST LEGO League is a competition for students in years 4–10. Teams of students 'build, program, and compete with a robot, while also learning about a modern problem in science and engineering and developing solutions for it'. The theme for this year is hydro dynamics, where students are asked to learn about how we find, transport, use, or dispose of water. The 2017 season kicks off in South Australia today, and runs throughout the country until early December. Volunteers are required to help facilitate and judge state competitions. For further details, and to register your interest, visit the FIRST Australia website. 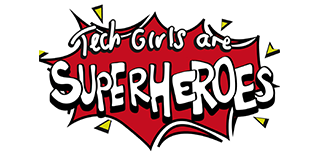 Tech Girl Superheroes, from the Tech Girls Movement.